We were eager for our Tea and Readings series to resume this year, and it gave us joy to see that your enthusiasm matched our own! Last Saturday, we held our first literary evening of 2014 before a capacity crowd, at which we welcomed three uniquely engaging writers to the podium. The evening’s first reader was Kim Johnson, one of Trinidad’s steelpan connoisseurs and foremost cultural academics. Johnson shared extensively from one of his most popular titles, The Illustrated Story of Pan, frequently interspersing his reading with colourful sideline commentary. Scarcely needing to rely on his own written reportage, Johnson regaled the appreciative crowd with anecdotes both revealing and whimsical. Avid collectors eager to acquire The Illustrated Story of Pan may have some waiting ahead of them: the book is currently out of print. (It’s been recommissioned for re-release, official date pending confirmation.) In the interim, though, we’ve several of Johnson’s other titles in stock, including Tinpan to TASPO: Origins of the Steelband Movement 1939-1951 (2011) and Descendants of the Dragon (2007). Steelpan scholar Kim Johnson shares passages from his publication The Illustrated Story of Pan. Our middle presenter isn’t a stranger to the Paper Based reading stage: in late October last year, Paper Based was privileged to host Debbie Jacob’s book launch of Wishing for Wings, a true account of her experiences teaching English Language to incarcerated young men at the Youth Training Centre. Critical and personal response to Wishing for Wings has been effusively widespread: people agree that this is an indispensable book, an asset to every secondary school student, no matter their circumstances. Jacob spoke candidly of the horrors that can be found behind prison walls, both juvenile and adult, and of the enormous dedication it takes to imagine a better life while in remand. By the time she soberly wound her reflections to a close, there was barely a dry eye or unmoved expression in the house. Debbie Jacob shares excerpts from her students’ writing, many examples of which appear in Wishing for Wings (Ian Randle Publishers, 2013). Bringing the readings to a close, historian Angelo Bissessarsingh (who, like Debbie, is a Trinidad Guardian columnist), will have his first book, Walking with the Ancestors, on our shelves soon. While that book is poised to present a fascinating study of local cemeteries, Bissessarsingh wore the hat of fiction last Saturday, as opposed to the historical non-fiction for which he is perhaps best recognized. 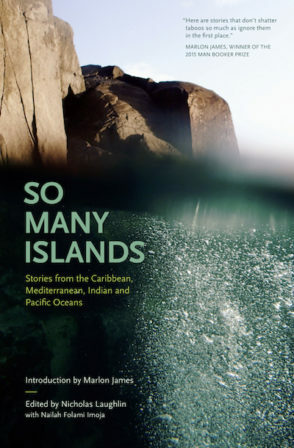 Sharing a short story, adapted from a novel in progress, the Virtual Museum of Trinidad and Tobago founder had the audience in stitches from the first paragraph of ribald stream of consciousness onwards. In the wake of such a side-splitting rendition, which also served to highlight many facets of Trinidad’s post-war society, we’re just as keen to read Angelo’s novel as we are his non-fiction! Angelo Bissessarsingh tickles the crowd’s collective funny bone with his short story, “Lady Maudie”. We couldn’t have asked for a more beautifully balanced triad of readers, whose offerings ran the gamut from historical introspection, to present-day societal study, to creative fiction of mirth and merriment. We’d like to thank Kim, Debbie and Angelo for their time and generosity — and we’re deeply appreciative to each of our patrons, both first-timers and familiar returning faces. Your unflagging support keeps our Tea and Reading series alive, and we look forward to many similar celebrations in your company. 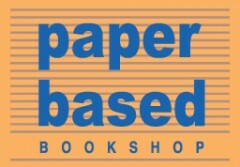 Speaking of celebrations, our upcoming reading, on March 8th, will be a special one: in addition to showcasing a promising lineup of writers, we’ll also be ringing in Paper Based’s 27th birthday! We’re happy to announce that one of our March readers will be Nathalie Taghaboni, author of Across From Lapeyrouse and its sequel, Santimanitay. Stay tuned for our full list of readers, to be announced by the end of February. According to traditional carnival theory, carnival can be either inversive or subversive: it can mix up the previously-accepted order of things, or bear pitchforks of revolt against the system, pushing change to the forefront. In Carnival: Culture in Action – The Trinidad Experience, a collection of essays and perspectives edited by Milla Cozart Riggio, the beliefs run less concretely than this. Carnival, these scholars and masmen alike proclaim, need not be centred on the institutions that are (supposedly) at the top of a societal food chain. Carnival is everyone’s, in Trinidad… and if it isn’t, then it should be. Sectioned into four parts that map the birth, growth and exportation of Trinidad Carnival, the collection features Kim Johnson’s “Notes on Pan”, side by side an essay on the reinvention of calypso by Gordon Rohlehr. Earl Lovelace writes on “The emancipation jouvay tradition and the almost loss of pan” — and yes, this is all in one section, titled “Pan and Calypso – Carnival Beats”. If you’re of the opinion that books on Carnival can be made (or broken!) by their photosets, this publication will pass that particular test. It features a panoply of black and white photographs of Trinidad Carnival, including two photo essays by veteran photographers Jeffrey Chock and Pablo Delano. A valuable title to add to your collection on Carnival scholarship, this anthology is likely to prompt several reconsiderations, and maybe a spirited debate or two while you’re chipping down the road in a couple weeks’ time.